Dr. Rezai earned his medical degree with honors from the University of Southern California and underwent neurosurgical training at New York University. He completed his subspecialty training in functional neurosurgery at the University of Toronto. He then joined the neurosurgical faculty at New York University Medical Center as director of the Center for Functional and Restorative Neurosurgery until January 2000, when he became the director of the Center for Neurological Restoration, as well as the Jane and Lee Seidman Chair in Functional Neurosurgery at the Cleveland Clinic until July 2009, when he joined the faculty at the Ohio State University (OSU) in Columbus, Ohio. At OSU, Dr. Rezai was the Associate Dean of Neuroscience and the Director of the Neurological Institute until November 2017, when he joined West Virginia University as the Executive Chair and Director of the Rockefeller Neuroscience Institute (RNI). The RNI is a multidisciplinary clinical, research and innovation integrated unit consisting of over 150 full-time physicians and scientist in the Departments of Neurology, Neurosurgery, Psychiatry and Behavioral Health, and Neuroscience. A board-certified neurosurgeon, Dr. Rezai’s clinical areas of expertise are the neurosurgical management of patients with Parkinson’s disease, dystonia, chronic pain, brain and spinal cord injuries, spasticity, as well as severe mood and anxiety disorders. Dr. Rezai was named one of the best doctors in America in Castle and Connolly’s Guide to America’s Top Doctors for 16 consecutive years from 2001-2017. Dr. Rezai has 220 scientific publications with an H-Index of 60 (Google Scholar) including publications in Nature, Lancet Neurology, and JAMA Neurology. He serves on the editorial board of five scientific journals. He has edited a book on surgery for psychiatric disorders and the two-volume textbook, Neuromodulation. In addition, Dr. Rezai has been the Principal Investigator (PI) and Co-investigator on eight NIH grants and was the PI of the $160M Neurotechnology Innovations Translator (NIT) Center. Dr. Rezai has trained over 50 clinical fellows, has delivered more than 500 lectures. Dr. Rezai has presented his work to the President of the United States as well as to members of the US Senate and House of Representatives on Capitol Hill. Dr. Rezai is the Past President of the Congress of Neurological Surgeons (CNS), the North American Neuromodulation Society (NANS), and the American Society of Stereotactic and Functional Neurosurgery (ASSFN). Dr. Rezai’s research focuses on neural circuitry, and development of neurological sensors and monitors, surgical tools and technologies, and new therapeutic applications such as neurostimulation for Parkinson’s disease, mood and anxiety disorders, traumatic brain injury, spinal cord injuries, chronic pain, and addictions. Dr. Rezai has received the Bottrell Neurosurgical Award, Congress of Neurological Surgeons Clinical Fellowship award, and the American Association of Neurological Surgeons William Sweet Investigator Award. He has also received several innovation awards including the Cleveland Clinic and Ohio State University innovator of the year awards. Dr. Rezai holds 54 issued US patents for medical devices and technologies and is the founder of five neurotechnology start-up companies. 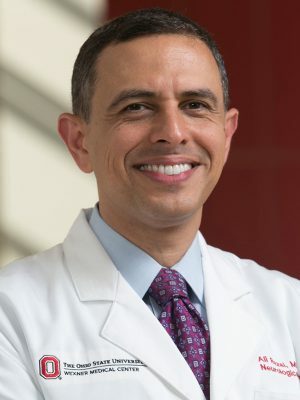 Dr. Rezai’s work has been in publications such as the Wall Street Journal, New York Times, US News and World Report, USA Today, MIT’s Technology Review magazine, Newsweek, Time, The Washington Post, The Boston Globe, Reader’s Digest, The Los Angeles Times, Chicago Tribune, The Globe and Mail. He has appeared on numerous local and national radio and television broadcasts including CBS’ 60 Minutes, The Charlie Rose Show, Prime Time, The Diane Rehm Show, CNN, NPR, PBS, the BBC, HBO, MSNBC, ABC, NBC and CBS Nightly News and The Discovery Channel. Douglas P. Beall, MD, attended medical school at Georgetown University School of Medicine and completed his residency at The Johns Hopkins Hospital. Following residency, he was Chief of Interventional Services at Sheppard Air Force Base in Texas. He then completed a fellowship in Musculoskeletal Radiology at Mayo Clinic where he was trained in interventional spine techniques before returning to the US Air Force as Division Chief of Musculoskeletal Radiology. Following the service in the US Air Force Dr. Beall was chief of Musculoskeletal Radiology and Fellowship Director at the University of Oklahoma prior to entering private practice as the Chief of Services. In addition to his expertise in musculoskeletal imaging and interventional spine care, Dr. Beall is actively involved in teaching and research. 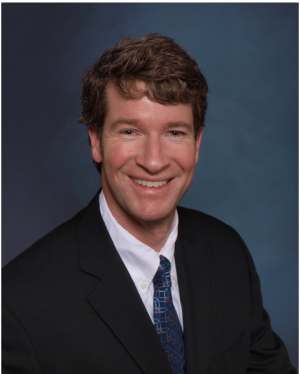 He is board-certified in Diagnostic Radiology, has an added fellowship in Musculoskeletal Radiology, is a Diplomate of the American Academy of Pain Management and is a Fellow of Interventional Pain Practice. 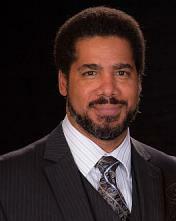 He is currently in private practice focused on interventional pain management and orthopedic imaging. Dr. Beall has published more than 200 articles in peer-reviewed journals, authored four textbooks and 11 textbook chapters, and given more than 400 invited lectures and scientific presentations. He is currently the Chief of Radiology Services for Clinical Radiology of Oklahoma as well as the Division Head of Interventional Spine Care and Director of Pain Management Fellowship Programs at the Spine Fracture Institute and Summit Medical Center. Dr. Mehta is the Director of the Weill Cornell Pain Medicine Center and an Assistant Professor of Anesthesiology at Weill Cornell Medical College. He serves as a Co-Director of the Center for Comprehensive Spine Care, Medical Director of 14 South and Advisory Board Member to the Patient Experience Task Force and Integrative Medicine Center. He is a Director-at Large-of the New York Society of Interventional Pain Physicians and Secretary of the Eastern Pain Association. 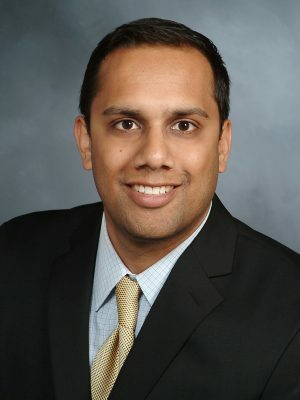 Dr. Mehta completed his fellowship in Interventional Pain Medicine in the Tri-Institutional Pain Medicine Fellowship at NewYork Presbyterian Hospital/Weill Cornell Medical Center, Hospital for Special Surgery, and Memorial-Sloan Kettering Cancer Center. Embodying Weill Cornell’s tripartite mission, Dr. Mehta delivers superior patient care, conducts groundbreaking research, and educates doctors-in-training in the field of pain medicine. His clinical area of expertise is in musculoskeletal pain of the back, neck, and joints, post-operative pain, neuropathic disorders, pelvic pain, and cancer and cancer-treatment related pain. His work has been featured on New York 1 and ABC-7 television, and he has discussed the history of pain on National Public Radio. Dr. Mehta was an invited expert on Facebook Patient Chats for the Neuropathy Association of America, and has led courses in Spain and India training the next generation of international pain medicine physicians. Dr. Mehta is leading efforts to help improve the patient experience for those undergoing surgery, while advancing the field of knowledge in chronic pain and spinal cord stimulation. He has authored over 30 peer-reviewed papers, chapters and abstracts. 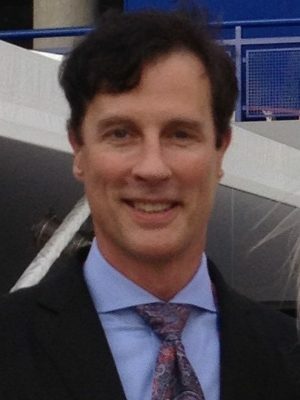 Dr. Poree holds the position of Clinical Professor in the Department of Anesthesia at the University of California in San Francisco (UCSF) where he serves as the director of the Neuromodulation service. His earned a PhD from UC Berkeley where he investigated analgesic properties of endogenous compounds. He continued his studies in spinal cord stimulation and neural processing during his postdoctoral training in the department of biomedical engineering at Johns Hopkins. He continued his research of autonomic involvement in neuropathic pain at Stanford University where he earned his medical degree and completed his residency in anesthesia before completing his interventional pain fellowship at UCSF. He worked in private practice for 15 years before returning to UCSF to direct the neuromodulation program. He currently serves on the board of directors for the North American Neuromodulation Society. He also serves on the board of directors for the International Neuromodulation Society and is a council member in the Institute of Neuromodulation. Recent research activities include his role as a principal investigator for the DRG stimulation Accurate Study and Target study. He serves as a medical monitor for the Saluda Evoke study. Dr. McRoberts created and directed the Department of Interventional Spine, Pain and Neurosurgery at Holy Cross Hospital. In addition to fellowship training at Emory University in Interventional Spine and Pain Medicine, he is double board certified in both pain medicine (ABA/ABPMR) and in physical medicine and rehabilitation (ABPMR). Post-graduate training in Medical Anthropology led Dr. McRoberts to his interest in Pain Medicine, training at the University of Kentucky, then Loma Linda University for residency. Dr. McRoberts has authored numerous book chapters and journal articles on such topics as neuromodulation, minimally invasive spine surgery, and novel approaches and procedures for the treatment of pain. Dr. McRoberts regularly speaks and teaches nationally and internationally about ever-evolving approaches to chronic pain treatment. He is a contributing member of multiple spine and pain societies, designs research with and consults for leading pain and spine therapeutic industry leaders and has been principal investigator for multiple prospective FDA IDE trials in neuromodulation for pain, nuclear-regenerative and annular repair for degenerative disc disease, ultra-minimally invasive spine surgery, novel injection techniques, drugs and drug-delivery devices. Lastly, he provides scientific direction for and sits on advisory boards for multiple established and start-up companies in the field of pain treatment and minimally invasive pain surgery.